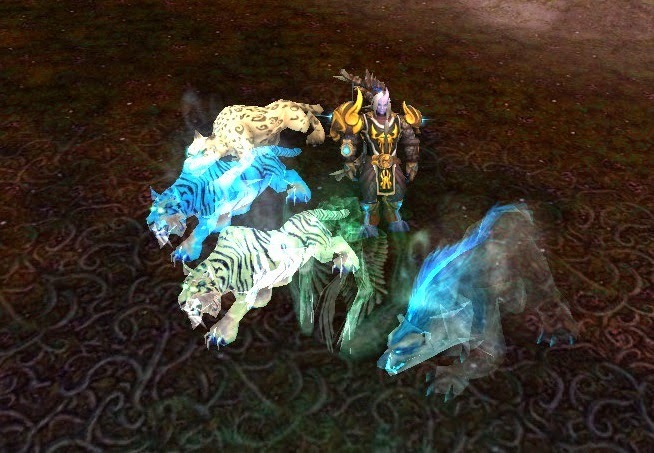 I decided that I was getting tired of the RNG dependency of Survival, so I switched over to BM for this weekend's raid. So last night, I decided I'd go take a look through Sholazar. I really wasn't at all expecting to see Loque. I mean, after so many years of searching, I just go through the motions really, without much hope left. But then, at the very first spawn point I checked, there he is. 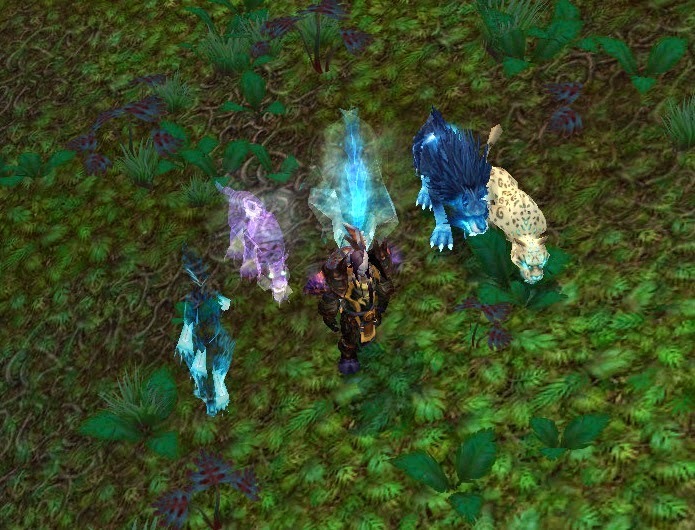 That beautiful, beautiful snow leopard, which finally completes my collection of Spirit Beasts. 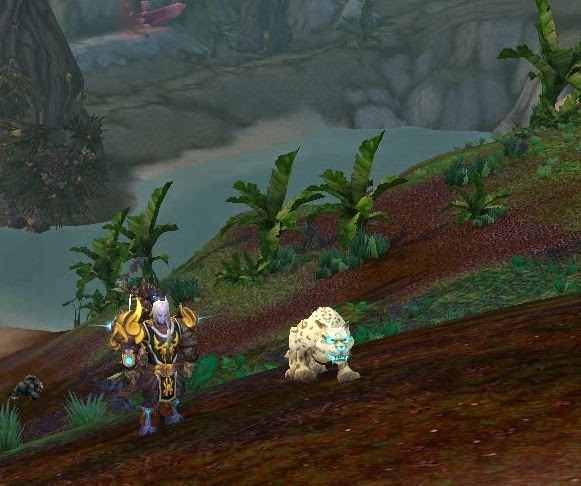 And that's not all, just five minutes ago when I was taking these photos with my other Spirit Beasts, I took one of my other hunters just on a whim, and at the far north spawn point, a mere 24 hours hours after taming him on my main, I find him on my alt. When I saw him on my alt, I actually felt a little bad. Should any one hunter (even if on different hunters) have so much luck? So I let everyone on my btag list know he was up, and offered to even CRZ anyone who wanted him, but I had no takers. 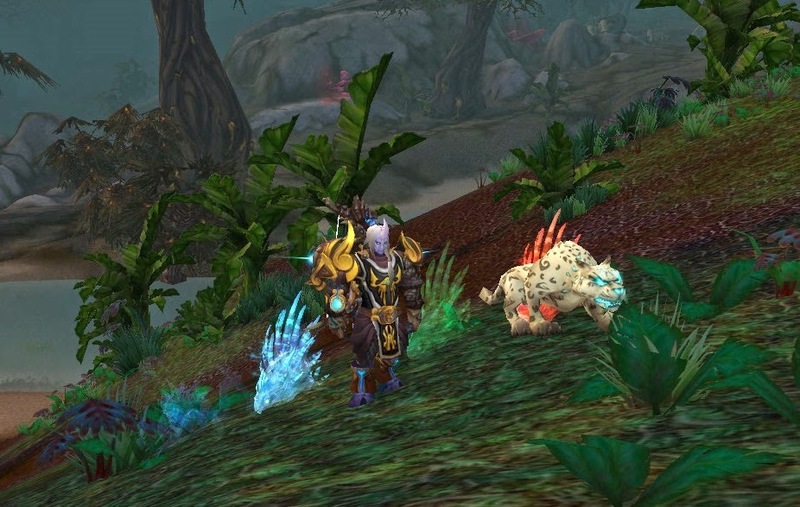 So here I am with loque on both hunters. It is a good time to be a hunter.